As a matter of fact, foreign policy, those words do not even exist in the Constitution, and the Congress has all the responsibility of raising funds, spending funds, raising an army, declaring war, so the responsibilities are on us. I believe that no young man or woman has ever entered the military hoping to face combat, but most answer the call because they believe in the liberties which our nation was founded upon, and they see our nation as a beacon of liberty. It is to these young people that I wish to bring honor and it is to those who have become Missing, or are held Prisoner, to whom I believe this nation must pledge ongoing fealty. Specifically, I would like to memorialize U.S. Army Sergeant Joe Parks, from Matagorda County, who died while in captivity in Vietnam. Initially the Articles of Confederation spoke clearly of just who would be responsible for waging war. It gave the constitutional Congress, quote, sole and exclusive right and power of determining on peace and war. In the debate at the Constitutional Convention it was clear that this position was maintained as the power of the British king was not to be, quote, a proper guide in defining executive war powers, close quote, for the newly formed republic. The result was a Constitution that gave Congress the power to declare war, issue letters of mark and reprisal, call up the militia, raise and train an Army and Navy and regulate foreign commerce, a tool often used in international conflict. The President was also required to share power with the Senate in ratifying treaties and appointing ambassadors. It is also interesting that one of the jobs of the troops in NATO, if they go into Kosovo, will be to disarm the Kosovo Liberation Army. That is hardly good sense. First, it is not good sense for us to give the permission or renege on our responsibility, but it does not make good sense to get involved in a war that has been going on for many years, but it certainly does not make good sense for us to go in for the sole purpose of supporting Milosevic. He is the one that has been bombing the Kosovars and here we are, we want to disarm the liberation forces and at the same time prevent Kosovo from becoming independent. It is said that we do not have this authority; that we should give it to the President; that he has it under the Constitution based on his authority to formulate foreign policy. It is not there. The Congress has the responsibility to declare war, write letters of marks and reprisals, call up the militia, raise and train army and regulate foreign commerce. The President shares with the Senate treaty power as well as appointment of ambassadors. The President cannot even do that alone. The United States Government has in the past referred to the Kosovo Liberation Army leaders as thugs, terrorists, Marxists, and drug dealers. This current fight was initiated by Kosovo’s desire for independence from Serbia. Because of this lack of clarity of purpose we come to accept an equally unclear contortion of our language. Our military is “too thin,” it has been “hollowed out” and it is “unprepared.” But for what are we unprepared? And what policy is our army “too hollow” to carry out? So when the time comes in September, please consider that there are ways that one can provide for an army without conscription. We have had the reinstitution of registration of the draft for 20 years. It has been wasted money. We can save the $25 million. We should do it. We should not put this money back in. We do not need the Selective Service System. Conscription is not part of the American dream. It is not part of the American philosophy. It is not part of liberty. It is a totalitarian notion. Congress has the authority to raise an army, but it does not have the constitutional authority to enslave a certain group to bear the brunt of the fighting. 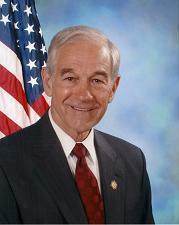 A society that cherishes liberty will easily find its volunteer defenders if it is attacked. A free society that cannot find those willing to defend itself without coercion cannot survive, and probably does not deserve to. Rather than encouraging this type of volunteerism, which is so crucial, particularly to America’s rural communities, the IRS has decided that the provision of the benefits described above amount to taxable income. Not only does this adversely affect the financial position of the volunteer by foisting new taxes about him or her, it has in fact led local entities to stop providing these benefits, thus taking away a key tool they have used to recruit volunteers. That is why the IRS ruling in this instance has a substantial deleterious impact on the spirit of American volunteerism. How far could this go? For example, would consistent application mean that a local Salvation Army volunteer be taxed for the value of a complimentary ticket to that organization’s annual county dinner? This is obviously bad policy. Throughout our early history and up to World War I, our wars were fought with volunteers. There was no military draft except for a failed attempt by Lincoln in the Civil War which ended with justified riots and rebellion against it. The attitudes toward the draft definitely changed over the past century. Draftees were said to be necessary to fight in World War I and World War II, Korea and Vietnam. This change in attitude has definitely satisfied those who believe that we have an obligation to police the world. The idiocy of Vietnam served as a catalyst for an antidraft attitude which is still alive today. Fortunately we have not had a draft for over 25 years, but Congress refuses to address this matter in a principled fashion by abolishing once and for all the useless selective service system. Too many authoritarians in Congress still believe that in times of need, an army of teenage draftees will be needed to defend our commercial interests throughout the world. A return to the spirit of the republic would mean that a draft would never be used and all able-bodied persons would be willing to volunteer in defense of their liberty. Without the willingness to do so, liberty cannot be saved. A conscripted army can never substitute for the willingness of freedom-loving Americans to defend their country out of their love for liberty. The national police state mentality has essentially taken over crime investigation throughout the country. Our local sheriffs are intimidated and frequently overruled by the national police. Anything worse than writing traffic tickets prompts swarms of Federal agents to the scene. We frequently see the FBI, the DEA, the CIA, the BATF, Fish and Wildlife, the IRS, Federal marshals and even the Army involved in local law enforcement. They do not come to assist, but to take over. The two most notorious examples of federal abuse of police powers were seen at Ruby Ridge and Waco, where non-aggressive citizens were needlessly provoked and killed by government agents. At Waco, even Army tanks were used to deal with a situation that the local sheriff could have easily handled. 7. The Army was never meant to be used in local policing activities. We must firmly prevent our Presidents from using the military in local law enforcement operations, which is now being planned for under the guise of fighting terrorism. Recruiting students and vagrants is of no use to a competitive military, since both groups are uninterested in active duty. By contrast, a volunteer army — assuming the country needs any army at all — will yield those with an interest in serving their country and those who seek the military as a place to get that necessary step up into a better life. A primary partner to draft reform would be to offer an alternative for those who request not to serve militarily. Non-combatant positions, such as field doctors and radio operators, might be made civilian positions. Then, those who wish not to engage in battle will be able to serve the nation for as long as they need. It is unfair because those who do not get called remain free while those called into duty must serve or face charges that will haunt them for the rest of their lives. This practice, while through chance, is unjust because it targets those Americans with low draft numbers. Through the archaic, unjust draft process America once more is embracing authoritarianism. If the government chose, National Guard forces could be utilized to alleviate the costs of draft, recruitment, and salary. The savings could then be used to properly compensate a volunteer army, which would attract more skillful persons if the pay scale were better. One of the conditions for ending the civil war in Kosovo was the disbanding of the KLA. But the very same ruthless leaders of the KLA, now the Liberation Army of Presovo, are now leading the insurrection in Macedonia without NATO lifting a finger to stop it. NATO’s failed policy that precipitated the conflict now raging in Macedonia is ignored. To prohibit. How do you prohibit something? You would need an army on every street corner in the country. You cannot possibly prevent flag burning. You can punish it but you cannot prohibit it. That word needs to be changed eventually if you ever think you are going to get this amendment passed. But back to what I said earlier, I just think the approach of using a United Nations standing army, which is what we are getting closer to, to go around and police the world in areas that we do not have justification based only on our national security, I see this money as being dangerously used and it invites trouble for us. However, if we get to the point of returning to the draft, I have a proposal. Every news commentator, every Hollywood star, every newspaper editorialist, and every Member of Congress under the age of 65 who has never served in the military and who demands that the draft be reinstated, should be drafted first — the 18-year olds last. Since the Pentagon says they don’t need draftees, these new recruits can be the first to march to the orders of the general in charge of homeland security. For those less robust individuals, they can do the hospital and cooking chores for the rest of the newly formed domestic army. After all, someone middle aged owes a lot more to his country than an 18-year old. Bureaucratic momentum alone can cross over the line. After President John F. Kennedy privately berated the Army for being unprepared to quell the riots when James Meredith enrolled at the University of Mississippi, we (I was Army general counsel at the time) responded by collecting intelligence information on individuals such as civil rights leaders, as well as local government officials in places where we thought there might be future trouble. We were motivated not by any mischievous desire to violate privacy or liberties of Americans but by the bureaucratic reflex not to be caught short again. Fortunately, due to the many probable repercussions, a swift attack on Iraq now seems unlikely. Our surrogate army, organized by the Iraqi National Congress, is now known to be a charade, prompting our administration to correctly stop all funding of this organization. The thought of relying on the Kurds to help remove Hussein defies logic, as the U.S.-funded Turkish army continues its war on the Kurds. There is just no coalition in the Persian Gulf to take on Iraq and, fortunately, our Secretary of State knows it. Let there be no doubt, for every terrorist identified, others will see only a freedom fighter. That was the case when we aided Osama bin Laden in the 1980s. He was a member of the Mujahidien, and they were the freedom fighters waging a just war against the Soviet army. Of course, now he is our avowed enemy. A broad definition of terrorism outside the understanding of those who attacked the United States opens a Pandora’s box in our foreign policy commitments. This system leads to a huge bureaucratic government, manipulated by politicians, and generates an army of special interests that flood the system with money and demands. To achieve and maintain political power in Washington, these powerful special interests must be satisfied. It is very convenient for supporters of this International Criminal Court that the high profile test case in the Yugoslav tribunal is the widely reviled Slobodan Milosevic. They couldn’t have hoped for a better case. Any attack on the tribunal is immediately brushed off as a defense of Milosevic. It is illustrative for us to take a look at how the Milosevic trial is being prosecuted thus far. After all, today it is Milosevic but tomorrow it could be any of us. And with the Milosevic trial, the signs are very troubling. We have all seen the arrogance of the judge in the case, who several times has turned off Milosevic’s microphone in mid-sentence. Thus far, the prosecution has attempted to bring as witnesses people who are on the payroll of the tribunal itself, as in the case of Besnik Sokoli. Other witnesses have turned out to have been members of the Kosovo Liberation Army, which is the armed force that initiated the insurgent movement within Yugoslavia. Remember, Milosevic was extradited for Kosovo and for Kosovo only, but the weakness of the case forced the Court to add other charges in other countries. Now, after Milosevic has shown himself adept at cross-examination, the prosecution is seeking to have the judge limit Milosevic’s ability to cross-examine the prosecution’s witnesses. This in itself flies in the face of our system of evidence law, which allows the defendant nearly unlimited ability to cross-examine a witness as long as it is relevant to testimony. Rather than encouraging this type of volunteerism, which is so crucial, particularly to America’s rural communities, the IRS has decided that the provision of the benefits described above amount to taxable income. Not only does this adversely affect the financial position of the volunteer by imposing new taxes upon him or her, it has in fact led local entities to stop providing these benefits, thus taking away a key tool they have used to recruit volunteers. That is why the IRS ruling in this instance has a substantial negative impact on the spirit of American volunteerism. How far could this go? For example, would consistent application mean that a local Salvation Army volunteer must be taxed for the value of a complimentary ticket to that organization’s annual county dinner? This is obviously bad policy. The first Enlisted Pilot, Vernon L. Burge, earned his wings in the old Signal Corps in 1912. Prior to World War 11, 282 enlisted pilots served in the Signal Corps, then in the Army Air Service and later in the Army Air Corps as rated pilots. Many flew the Air Mail during the early 1930s of the Roosevelt Administration. To qualify for Pilot Training, the enlisted men had to meet several stringent requirements. They had to be enlisted in the regular Army, not drafted, possess a high-school diploma, pass a rigid physical exam, and sign a contract with the Army avowing that upon completion of Flight Training, they would continue serving in the Army Air Corps as Staff Sergeant Pilots for three years, as Technical Sergeant Pilots for three years, as Master Sergeants for three years, and end the contract as Warrant Officer Pilots. Upon graduation, and ordered to participate in Aerial Flight by General “Hap” Arnold, Chief of the Army Air Corps, these pilots flew Douglas A–20s, Curtis P–36s and P–40s, Lockheed P–38s, North American P–64s, Douglas C– 47s, C–48s, C–49s, C–53s. They flew many of these aircraft in combat as Staff Sergeant Pilots. Later, as officers, they flew all of the aircraft in the Air Force inventory during and after WWII. Essentially all Muslims see our policy in the Israeli-Palestinian conflict as being openly favorable toward Israel and in opposition to the Palestinians. It is for this reason they hold us responsible for Palestinian deaths since all the Israeli weapons are from the United States. Since the Palestinians do not even have an army, and most have to live in refugee camps, one should understand at least why the animosity builds, even if our pro-Israeli position can be explained. Mawyer had intended to deliver 30 bags filled with more than 60,000 petitions to the U.N. from American citizens. The petitions addressed a variety of issues of concern to citizens, including the U.N.’s newly ratified International Criminal Court, a plan to implement a U.N. standing army, the Kyoto global warming treaty, protection of U.S. military personnel serving in U.N. missions abroad, and a host of other issues relating to national sovereignty. Sixty years ago American troops fought in a United Nations “police action” on the Korean Peninsula. More than 50,000 Americans lost their lives. Sixty years later, some 37,000 U.S. troops remain in South Korea, facing a North Korean army of nearly a million persons. After 60 years, we can no longer afford this commitment. If we do not, rest assured that the UN will continue to interfere not only in our nation’s foreign policy matters, but in our domestic policies as well. UN globalists are not satisfied by meddling only in international disputes. They increasingly want to influence our domestic environmental, trade, labor, tax, and gun laws. UN global planners fully intend to expand the organization into a true world government, complete with taxes, courts, and possibly a standing army. This is not an alarmist statement; these goals are readily promoted on the UN’s own website. UN planners do not care about national sovereignty; in fact they are openly opposed to it. They correctly view it as an obstacle to their plans. They simply aren’t interested in our Constitution and republican form of government. (6) US troops and defense planners were shocked that the Iraqi army simply melted away as the US attack pressed toward Baghdad. An army that cannot even defend its own territory is hardly a threat to its neighbors — or to the United States 6,000 miles away. (7) Considering the apparent lack of WMD and the total failure of the Iraqi army, claims that Iraq was a threat to United States national security appear to have been inaccurate. I publicly doubted such claims before the attack. COGC is Unnecessary Every generation seems to labor under the delusion that it lives in the most dangerous and turbulent time in human history. COGC certainly proves this point. Its proposal provides doomsday scenarios designed to make us believe that the threat of modern terrorism poses a much greater risk to our government institutions than ever existed in the past. Yet is Congress really more vulnerable than it was at the height of the Cold War, when a single Soviet missile could have destroyed Washington? Surely Congress faced greater danger in 1814, when the British army actually invaded Washington, routed the city, and burned down the White House! Somehow the republic survived those much more perilous times without a constitutional amendment calling for the emergency appointment of Representatives. Before we commit our troops to yet another foreign intervention, Congress must at the very least consider the implications of further committing our already seriously overextended military. According to recent press reporting, of the 33 brigades that make up the entirety of the US Army’s active duty combat forces, all but just three brigades are either currently engaged in Iraq, Afghanistan, South Korea; are committed to other missions; or are reconstituting. This suggests that the US military is in serious danger of becoming over-extended. In a way, what happened in Vietnam, the achievement there without the Army was far better than the losses that occurred when we were trying to use force. But I just am worried about what is happening. I am worried about the expenditures. I am worried that the guerilla war is going to spread. I am concerned because I believe so sincerely that our policy of foreign intervention serves more to incite terrorists against our country than we will calm down by our being over there. Woodrow Wilson orchestrated our entry into World War I by first promising during the election of 1916 to keep us out of the European conflict, then a few months later pressuring and maneuvering Congress into declaring war against Germany. Whether it was the Spanish American War before that or all the wars since, U.S. presidents have deceived the people to gain popular support for ill-conceived military ventures. Wilson wanted the war and immediately demanded conscription to fight it. He didn’t have the guts even to name the program a military draft; instead in a speech before Congress calling for war he advised the army should be “chosen upon the principle of universal liability to service.” Most Americans at the time of the declaration didn’t believe actual combat troops would be sent. What a dramatic change from this early perception, when the people endorsed the war, to the carnage that followed – and the later disillusionment with Wilson and his grand scheme for world government under the League of Nations. The American people rejected this gross new entanglement, a reflection of a somewhat healthier age than the one we find ourselves in today. I do not know of anybody who likes drugs and advocates the use of drugs. I as a physician am strongly opposed to the use of drugs. It is just that the techniques make a big difference. We are talking about bad habits, and yet we are resorting to the use of force, literally an army of agents and hundreds of billions of dollars over a 30-year period, in an effort to bring about changes in people’s habits. Someday we are going to have to decide how successful we have been. Was it a good investment? Have we really accomplished anything? This is a choice. Nobody is for the use of drugs that I know of. But there is a big difference if you casually and carelessly resort to saying, oh, it is good that you do not do drugs, to let us create a drug army to prance around the country, and then lo and behold houses are invaded, mistakes are made, innocent people are killed, and it does not add up. What if we discover the Army is too small to continue policies of preemption and nation-building? What if the stop-loss program is actually an egregious violation of trust and a breach of contract between the government and soldiers; what if this is actually a back-door draft, leading to unbridled cynicism and rebellion against a voluntary army and generating support for a draft of both men and women? Will lying to troops lead to rebellion and anger toward the political leaderships running this war? The whole process is corrupt. It just doesn’t make sense to most Americans to see their tax dollars used to fight an unnecessary and unjustified war. First they see American bombs destroying a country, and then American taxpayers are required to rebuild it. Today it’s easier to get funding to rebuild infrastructure in Iraq than to build a bridge in the United States. Indeed, we cut the Army Corps of Engineers’ budget and operate on the cheap with our veterans as the expenditures in Iraq skyrocket. Does anybody remember oil companies coming here to get their oil pipelines protected, and we still protect them? This is a little private army that we sent down there. We have 800 troops and advisers in Colombia and spending these huge sums of money. Who else lobbied for Plan Colombia? Do my colleagues remember the debate on who would get to sell the helicopters? Would they be Black Hawks or Hueys? The legal maneuvering to permit this war was tragic to watch, but the notion that Saddam Hussein-- a third world punk without an air force, navy, and hardly an army or any anti-aircraft weaponry-- was an outright threat to the United States six thousand miles away, tells you how hysterical fear can be used to pursue a policy of needless war for quite different reasons. Since March 2003, we have seen death and destruction, 2,100-plus Americans killed and nearly 20,000 sick and wounded, plus tens of thousands of Iraqis caught in the crossfire. A Shiite theocracy has been planted. A civil war has erupted. Iran’s arch nemesis, Saddam Hussein, has been removed. Osama bin Laden’s arch nemesis, Saddam Hussein, has been removed. Al Qaeda now operates freely in Iraq, enjoying a fertile training field not previously available to them. Suicide terrorism spurred on by our occupation has significantly increased. Our military-industrial complex thrives in Iraq without competitive bids. True national defense and the voluntary Army have been undermined. In attempting to build an artificial and unwelcome Iraqi military, the harder we try, the more money we spend and the more lives we lose, the stronger the real armies of Iraq become: The Sunni insurgency, the Badr Brigade, the Sadr Mahdi Army and the Kurdish Militia. We are looking in all of the wrong places for an Iraqi army to bring stability to that country. The people have spoken, and these troops that represent large segments of the population need no training. It is not a lack of training, weapons or money that hinders our efforts to create a new superior Iraqi military. It is the lack of inspiration and support for such an endeavor that is missing. Developing borders and separating the various factions, which our policy explicitly prohibits, is the basic flaw in our plan for a forced, unified Western-style democracy for Iraq. Allowing self-determination for different regions is the only way to erase the artificial nature of Iraq, an Iraq designed by Western outsiders nearly 80 years ago. It is our obsession with control of the oil in the region and imposing our will on the Middle East and accommodating the demands of Israel that is the problem. And the American people are finally getting sick and tired of all of their sacrifices. It is time to stop the bleeding. Mr. PAUL. Mr. Speaker, I wish to take this opportunity to pay tribute to Major Edward Lee Behne, a decorated military veteran, entrepreneur, husband, and father who passed away on September 8. Major Behne served his country by flying UH–1 Hueys in Vietnam from 1967 to 1970. Major Behne is the Vietnam War’s second-most decorated army pilot, having received two Distinguished Flying Crosses, a Legion of Merit, a VN Cross of Gallantry with Silver Star and Palm, two Silver Stars, six Bronze Stars, VN Service Medal (9 campaigns), two Meritorious Unit Citations, and 80 Air Medals. In 1979, Edward Behne retired from the army to return to his home in Texas, in 1988, he founded Tex-Air Helicopters, Inc. Guided by his vision of a company that would provide customers an unprecedented level of quality, service, and performance in helicopter operations, Major Behne worked for over 20 years to build Tex-Air into one of the major providers of helicopter services in the Gulf Coast region. By 2000, the Tex-Air fleet had grown to thirty aircraft and was the most modern and sophisticated helicopter fleet in the United States. Operations ranged from Florida to Mexico with twelve helicopter bases, fifteen offshore refueling platforms, and two major maintenance facilities. Tex-Air established an extensive offshore radio network for operational control and flight following across the entire Gulf of Mexico using repeaters and a central communications base. In 2003, Major Behne retired from Tex- Air to return to his beloved Texas hill country ranch, where he entertained his best friends and family members, worked and hunted. [From ANTIWAR.COM, Nov. 20, 2006] MILTON FRIEDMAN: A TRIBUTE “In the course of his [General Westmoreland’s] testimony, he made the statement that he did not want to command an army of mercenaries. I [Milton Friedman] stopped him and said, ‘General, would you rather command an army of slaves?’ He drew himself up and said, ‘I don’t like to hear our patriotic volunteers referred to as mercenaries.’ But I went on to say, ‘If they are mercenaries, then I, sir, am a mercenary professor, and you, sir, are a mercenary general; we are served by mercenary physicians, we use a mercenary lawyer, and we get our meat from a mercenary butcher.’ That was the last that we heard from the general about mercenaries.” — Milton and Rose Friedman, Two Lucky People, Chicago: University of Chicago Press, 1998, p. 380. We have totally failed to adapt to modern warfare. We are dealing with a small, nearly invisible enemy, an enemy without a country, a government, an army, a navy, an air force, or missiles. Yet our enemy is armed with suicidal determination and motivated by our meddling in their regional affairs to destroy us. Mr. Huvar, the son of Fred and Stella Huvar, was born in El Campo, Texas on October 19, 1919. Mr. Huvar has resided in Victoria since he was 4 months old. A 1937 graduate of St. Joseph High School, Mr. Huvar worked for the local Goodyear Tire Store until December 30, 1941, when he entered the military. Mr. Huvar spent 5 years in the Army Air Corps Ordnance Department, earning the rank of Master Sergeant. It is claimed that we cannot leave until a new military faction is trained to fill the vacuum. But the question is, will there really be a vacuum, or are we talking about our proxy army being trained well enough to continue to do battle with the very strong militias already in place? Lack of training for the local militias has never been a problem for them. The real problem with our plans to train a faction of Iraqis to carry out our plans for the Middle East is that the majority of Iraqis object and the army trainees are not as motivated as are the members of the various militias. The Kurds have a militia capable of maintaining order in their region. Sadr has a huge militia that is anxious to restore order and have us gone. The Badr brigade is trained to defend its interests. And the Sunnis are armed and determined. Our presence only serves to stir the pot by our troops being a target of nearly all the groups who are positioning themselves for our anticipated departure. It’s estimated that 90 percent of our Army and National Guard is poorly equipped. A new policy would return our National Guard to the States to be available when an emergency comes, no longer leaving the States high and dry because these troops are in Iraq. Indeed, our Army and Marine Corps, the best fighting formations our country has ever fielded, are at a breaking point with little to show for it because of the reckless behavior of the current administration. I base this judgment on personal experience, a 31-year career in the Army, two combat tours in Iraq, many years of service in Balkans peace enforcement in both Bosnia and Kosovo and service in the Pentagon before, during and after Sept. 11th, 2001. I am a lifelong Republican. I respect Walter Jones for his moral courage and resolve to get things right. On the desk in my office I have a sign that says: “Don’t steal – the government hates competition.” Indeed, any power a government arrogates to itself, it is loathe to give back to the people. Just as we have gone from a constitutionally-instituted national defense consisting of a limited army and navy bolstered by militias and letters of marque and reprisal, we have moved from a system of competing currencies to a government-instituted banking cartel that monopolizes the issuance of currency. In order to introduce a system of competing currencies, there are three steps that must be taken to produce a legal climate favorable to competition. Gulf Copper’s customer list includes most major U.S. commercial ship operators as well as the U.S. Government Maritime Administration, Coast Guard, U.S. Navy, U.S. Army Corps of Engineers, and the Military Sealift Command. Mr. PAUL. Mr. Speaker, I rise in somewhat reluctant support of this vote to override the President’s veto of H.R. 2062, the Intelligence Authorization Act of 2008. Although I voted against this authorization when it first came to the floor, the main issue has now become whether we as a Congress are to condone torture as official U.S. policy or whether we will speak out against it. This bill was vetoed by the President because of a measure added extending the prohibition of the use of any interrogation treatment or technique not authorized by the United States Army Field Manual on Human Intelligence Collector Operations to the U.S. intelligence community. Opposing this prohibition is tantamount to endorsing the use of torture against those in United States Government custody. Mr. PAUL. Madam Speaker, this Saturday the city of Lake Jackson, Texas, will celebrate the accomplishments of United States Army Specialist Monica Brown, who, at the age of 19, has already earned herself a place in the pantheon of Texas military heroes. I am pleased to take this opportunity to salute U.S. Army Specialist Monica Brown and let her know how proud I, and all of Lake Jackson, are of her heroism. I urge all my colleagues, and all Americans, to join me in saluting Monica Brown and all the brave men and women serving in Afghanistan and Iraq. On the desk in my office I have a sign that says: Dont steal – the government hates competition. Indeed, any power a government arrogates to itself, it is loathe to give back to the people. Just as we have gone from a constitutionally instituted national defense consisting of a limited army and navy bolstered by militias and letters of marque and reprisal, we have moved from a system of competing currencies to a government-instituted banking cartel that monopolizes the issuance of currency. In order to reintroduce a system of competing currencies, there are three steps that must be taken to produce a legal climate favorable to competition. They cant even make enough gasoline for themselves. I mean, they are not a threat. They dont have an army worth anything. They dont have a navy. They dont have an air force. They dont have intercontinental ballistic missiles. So it is not a threat to our national security. I see the threat to our national security with this type of policy which could come and backfire and hurt us. - Gun Control? Disarm The Bureaucrats! One task to be assigned our troops will be the disarming of the Kosovo Liberation Army. While supporting Milosevic is hardly rational, it makes even less sense to take actions that will serve only to pit Kosovars against Americans. Too often in this debate, the issue of patriotism is misplaced. This is well addressed by Keith Kruel, an Army veteran and a past national commander of the American Legion. He has said that, "Our nation was not founded on devotion to symbolic idols, but on principles, beliefs and ideals expressed in the Constitution and its Bill of Rights. American veterans who have protected our banner in battle have not done so to protect a 'golden calf.' …A patriot cannot be created by legislation." Worse yet, much of the spending contained in the supplemental bill goes overseas. Several South American countries, including Colombia, Bolivia, and Ecuador receive a total of $1.3 billion taxpayer dollars. Colombia alone receives approximately half a billion dollars for costly helicopters and U.S. training of its police and military forces in "counternarcotics" activities. I find this a particularly dangerous and expensive proposition. Our nation should not be spending billions of dollars and sending 60 military helicopters to the Colombian Army and National Police to escalate our failed drug war. We risk another Nicaragua when we meddle in the internal politics and military activities of a foreign nation. Sending expensive helicopters to Colombia is the worst kind of pork-barrel politics- helicopters are ineffective weapons of war, as we have seen in Vietnam and Somalia. The American people are tired of paying their tax dollars to fund expensive toys for foreign governments. Taxpayers should demand that Congress demonstrate the national interest served before it sends billions to foreign nations. Specifically, Colombia received 60 high-tech military helicoptors, along with hundreds of millions for training its police and military forces in "counternarcotics" activities. Clearly, this amounts to an escalation of the dangerous situation in Colombia. Time and time again we have witnessed the inevitable results of spending U.S. taxpayer dollars to fund internal conflicts in foreign nations. Apparently the current administration has not learned the lessons of Korea, Vietnam, El Salvador, or Kosovo. When we meddle in the politics (and warfare) of a foreign nation, we risk an open-ended conflict that costs billions and risks the lives of our soldiers. Obviously, U.S. military personnel will be needed to fly (and train others to fly) our modern helicopters. U.S. soldiers will train the Colombian army and national police. Despite the "war on drugs" justification, the truth is that the distinction between fighting drugs and waging war in Colombia is murky at best. We will send more money, more weapons, and more soldiers to Colombia, yet what will we receive in return? Do we really want to place our sons and daughters in harm's way so that we can influence another country's internal politics? What national interest is served by our involvement in this conflict? The role of small arms in defending against aggression should not be overlooked. Gun control proponents like to characterize light weapons as ineffective in wartime, but history proves they are critical to the self-defense of nations. For example, badly outnumbered and outgunned Afghan rebels succeeded in creating havoc for the massive invading Soviet army using only light rifles and even handguns. By contrast, Jewish civilians in Germany who had been stripped of all weapons were unable to mount any resistance to Hitler's terror. UN gun control advocates ignore history when they attempt to link guns only with crime, and never with heroic resistance to tyranny. The simple truth is that the UN is not concerned with our Constitution or our system of government. It is concerned only with expanding its power. It's hardly surprising that global government planners seek to impose global gun control, because disarmed nations will be that much easier to rule. Remember, the UN has much more power today than anyone could have imagined 50 years ago. So while it may seem far-fetched today that the UN could ever force U.S. citizens to turn over their arms, the current gun control conference could be planting the seed for such tyranny in decades to come. UN supporters like to ridicule the notion that the UN represents the beginning of one-world government, but what other label can be applied to an organization that seeks global laws, global courts, centralized legislative power, and a worldwide army? As for the alleged sniper himself, we can expect two things from the media. First, we’ll hear a lot of details and nonsense about his rifle and how he obtained it. This scrutiny serves to instill a misguided sense of fear and awe toward a simple .223 rifle, making it seem like a highly dangerous instrument that should never be in the hands of the general public. Second, we’ll hear his defense attorneys feed the media a thousand excuses for his actions, ranging from his childhood to his failed marriage to his Army training. Most people see through this, however. The killer alone is responsible for his murderous actions. Saddam Hussein and Osama bin Laden are perfect examples of our onetime "allies" who accepted our help yet failed to do our bidding for long. Both gladly welcomed American money, weapons, and military training during the 1980s. With bin Laden we sought to frustrate the Soviet advance into Afghanistan, and many Pentagon hawks undoubtedly felt vindicated when the Russian army retreated. Yet twenty years later, bin Laden is a rabid American-hating madman whose operatives are armed with our own Stinger missiles. Similarly, we supported the relatively moderate Hussein in the hopes of neutralizing a radically fundamentalist Iran. Yet this military strengthening of Iraq led to its invasion of Kuwait and our subsequent military involvement in the gulf. Today the Hussein regime is belligerently anti-American, and any biological or chemical weapons he possesses were supplied by our own government. Neither the Pentagon nor our military leaders want a draft. In fact, a Department of Defense report stated that draft registration could be eliminated "with no effect on military mobilization and no measurable effect on military recruitment." Today’s military is more high tech and specialized than ever before, and an educated volunteer force is required to operate our modern Army, Navy, and Air Force. Most military experts believe a draft would actually impair military readiness, despite the increase in raw manpower, because of training and morale problems. More importantly, however, gun control often serves as a gateway to tyranny. Tyrants from Hitler to Mao to Stalin have sought to disarm their own citizens, for the simple reason that unarmed people are easier to control. Our Founders, having just expelled the British army, knew that the right to bear arms serves as the guardian of every other right. This is the principle so often ignored by both sides in the gun control debate. Only armed citizens can resist tyrannical government. The second justification for invading Iraq was that Mr. Hussein posed a threat to the United States. This was not true. Hussein had only a small army, and virtually no navy or air force. He had no long-range weapons and no ability to strike the US 6000 miles away. He was not working with bin Laden or al Qaeda terrorists. He was a despicable tyrant at home, but the liberation of Iraq from his clutches was given as a new justification only after the American public had absorbed overwhelming evidence that he posed no threat to us. The supposed reform bill will not change the bureaucratic nature of the UN, nor will it transform the nations of the world into wise, benevolent, selfless actors. It will, however, expand the UN’s role as world policeman and establish the precursor to a UN army. If you don’t think American armed forces should serve under a UN command, you should know that the reform bill establishes a “Peacekeeping Commission” charged with bolstering the UN’s ability to respond with military force to conflicts around the globe-- even in wholly internal conflicts that do not affect the US in the slightest. According to the UN, this commission will bring together the UN Security Council members, major donor states, major troop contributing countries, United Nations organizations, the World Bank, and the International Monetary Fund to develop and integrate conflict prevention, post-conflict reconstruction, and long-term development policies and strategies. The commission will serve as the key coordinating body for the design and implementation of military, humanitarian, and civil administration aspects of complex missions. Think of this as the core of a future UN army that will claim the right to intervene in any conflict anywhere. The misnamed “Democracy Fund” created at the World Forum may well provide the funding for this UN army. We must ask ourselves whether this “global democracy fund” will be used to undermine or overthrow elected governments that do not meet some UN-created democratic criteria. Will it be used to further the kinds of color-coded revolutions we have seen from East Europe to the Middle East, which far from being genuine expressions of popular will are in fact fomented with outside money and influence? Could it eventually be used against the United States? What if the US is determined lacking when it comes to UN-defined democratic responsibilities such as providing free public housing or universal healthcare? The UN claims to serve human freedom and dignity, but gun control often serves as a gateway to tyranny. Tyrants from Hitler to Mao to Stalin have sought to disarm their own citizens, for the simple reason that unarmed people are easier to control. Our Founders, having just expelled the British army, knew that the right to bear arms serves as the guardian of every other right. This is the principle so often ignored by both sides in the gun control debate. Only armed citizens can resist tyrannical government. The gun control debate generally ignores the historical and philosophical underpinnings of the Second amendment. The Second amendment is not about hunting deer or keeping a pistol in your nightstand. It is not about protecting oneself against common criminals. It is about preventing tyranny. The Founders knew that unarmed citizens would never be able to overthrow a tyrannical government as they did. They envisioned government as a servant, not a master, of the American people. The muskets they used against the British Army were the assault rifles of that time. It is practical, rather than alarmist, to understand that unarmed citizens cannot be secure in their freedoms. Democratic Congressman Charles Rangel of New York, soon to be a powerful committee chair, has openly called for reinstating the Selective Service System. Retired Army General Barry McCaffrey claims that our ground forces in both Afghanistan and Iraq are stretched far too thin, and desperately need reinforcements. Meanwhile, other political and military leaders suggest that several hundred thousand additional troops might be needed simply to restore some semblance of order in Iraq. We are nearing the point where a choice will have to be made: either decrease our troop commitments in Iraq and Afghanistan significantly, or produce thousands of new military recruits quickly. So a discussion of military conscription is not purely academic. In fact, the president promised last week that, “They can’t run us out of the Middle East,” and that we will not retreat from Iraq. Worse, he asserted that America will, “Stay in the fight for a long period of time.” According to the President, we must increase the size of our Army and Marine Corps to provide the bodies to make this possible.